Jio is well known network operating company in India famous by its affordable and useful schemes for their users. 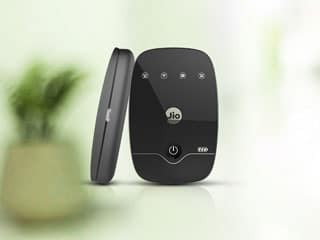 It is widely known for its Jio SIM cards, but it also provides a lot of additional features, such as JioFi routers and Dongles, for cost-effective prices. To be able to access your JioDongle dashboard, you need to open your browser and enter jiodongle.local.html or 192.168.1.1 in the URL bar. That will give you a possibility to manage some router’s features, such as: WiFi network name, Password, IP Qos, DNS, Proxy, LAN, WAN, network management, WLAN settings, PPPoE, MAC, WPS, DSL, DHCP client, and network management. If you forgot your Jio Dongle password, you don’t have to be upset, changing password is simple, and here we’ll give you a guide on just how to do it. 1 – You need to start up your Jio Dongle and hold on before the device is ready to use. 2 – Be sure that a device and your Jio Dongle are connected. Name of the network and the password of your Jio Dongle will be written behind the box of the device. 4 – When you enter this page, in the top right corner you will find a login option. 5 – Login option needs your User ID and a password. Type ‘administrator’ as your ID and password, and then click on ‘Login’, which will take you to another page. 6 – When you enter that page, on the left side of it you’ll notice the ‘Network’ option. In that option, you will find ‘WiFi settings’. That’s what you’ll need, click on it. 7 – There you’ll find Security Mode, which contains a column with the name ‘Network Key’. In this column, you will see the default password. This password may be erased, so you can replace it with your own, safe, and unique. 8 – Instantly, you will receive an information that your WiFi needs to restart. You need to agree by clicking on ‘OK’ and wait a couple of minutes until it will be done. Your password will be changed after step number 7, then you will be disconnected from your Jio Dongle, and when you try to reconnect, you have to use the new password that you previously chose. Compared to password change process, from step 1 to step 6 this method is basically the same. After those 6 steps, there are 3 more in this case. 1 – In the WiFi Settings column, here is ‘SSID’ option. There you will find the default name of the network. And like in previous process, you may erase that name and create your own, original network name. 2 – When you decide how you are going to name it, type it in, and click on the ‘Apply’ button. 3 – In this last step you will be notified that your WiFi needs to restart. Click on ‘OK’ and be patient until it’s done. After all these steps are completed, your Jio Dongle will be changed. You will find your network among the others, with the name you created, and you are ready to use it. Like in the two methods above, first 6 steps are exactly the same. Unlike the previous ones, this process has 4 additional steps. 1 – You should click on ‘User Management’ and under that, go to ‘Account’. 2 – In this step, you will see a page which contains four columns, including as Superuser ID, Current Password, New Password, and Confirm Password. The one you need is Superuser ID column, there you can change your Super ID. 3 – After that, type ‘administrator’ in the Current Password column. Now, you are able to set a new password. All you need to do is to type it in the New Password line and verify it by retyping it in the Confirm Password. Once you fill in all the blank spaces, click on ‘Apply’. 4 – In the last step, all you need to do is confirm all you previously did, by clicking on ‘OK’ on a dialog box which will appear in front of you. After all these steps are finished, you can be sure that your Superuser ID is successfully changed. In case that while you have been following all these steps you found something unclear, don’t be shy to contact us in the comments section and ask anything you want. We will answer you quickly and try to be helpful.